This beautiful and bespoke Rotary Whip Finish tool has been designed and manufactured by the well-known Yorkshire grayling angler Brian L Clarke. 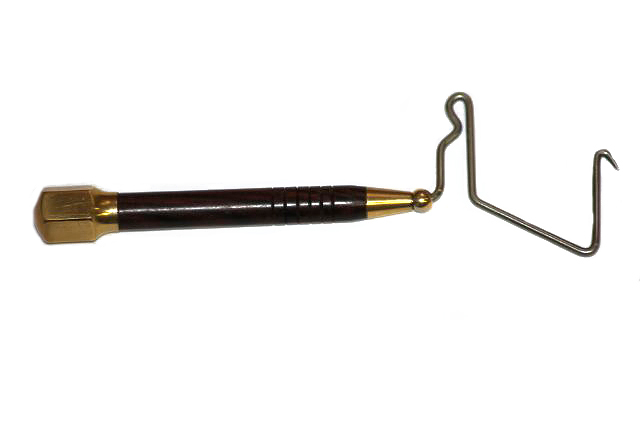 It features a superbly tooled wooden handle and quality brass fittings which are not to be found on any other comparable fly-tying tools, making this one of the finest Whip Finish tools on the market. A top quality bobbin holder with a full length ceramic tube.